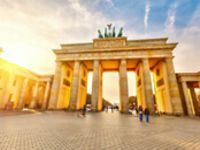 Eleven night tour to Eastern Europe - Berlin, Warsaw, Krakow, Budapest, Bratislava, Vienna. Arrival at Berlin and After the Immigrations transfers from Berlin Airport to Respective Accommodation, Upon Arrival Check in the Hotel as Per the Check in time and Day free at Own Leisure, Overnight stay at Berlin..
Breakfast at Hotel and this Day Utilize your Berlin-City Circle Purple Hop on Hop off Bus Tour, the tour includes,Discover the hip districts of the metropolis of Berlin and the former Berlin Wall at three locations with our dynamic and eventful hop-on/hop-off city tour, the City Circle Purple Tour! 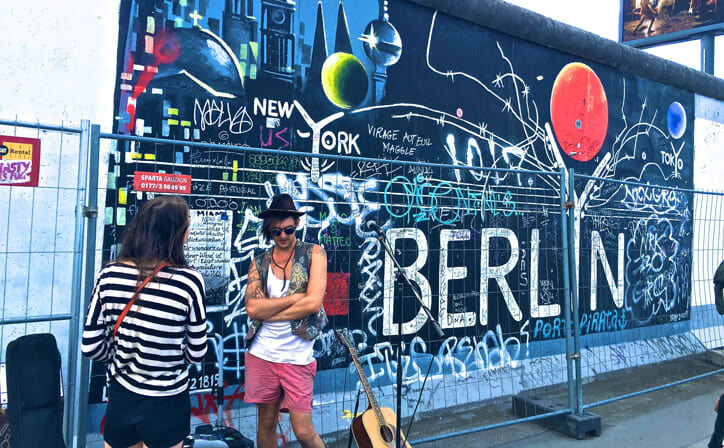 Start at one of the 12 stops of your choice and explore at your leisure the hotspots of the districts of Prenzlauer Berg, Mitte, Friedrichshain and Kreuzberg, as well as the Berlin Wall Memorial, the Mauerpark, and the world-famous East Side Gallery. 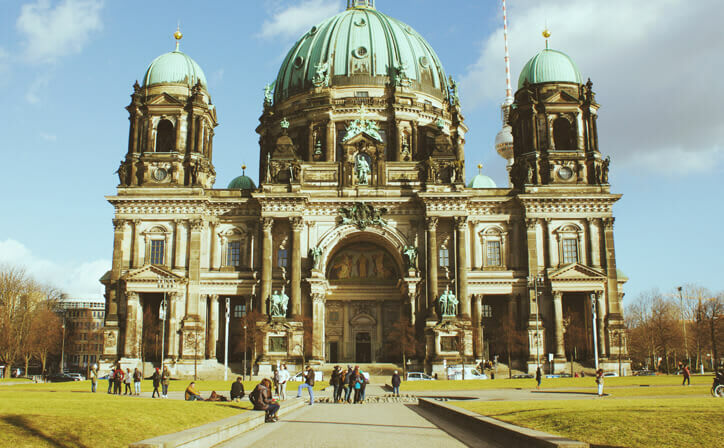 Experience NOW the diversity of this pulsating city, Overnight stay at Berlin. Breakfast at Hotel and Check out and Proceed to Berlin Railway Station(own Arrangements) , Board the train to Warsaw and with the journey of 6hrs arrive in Warsaw by the early evening and Proceed to Accommodation(own Arrangements), Check in the hotel and Day free at own Leisure, Overnight stay at Warsaw. Breakast at Hotel and Proceed to the Pick up point(own arrangements) for Half Day Morning Warsaw City tour, The tour Includes; The Tour - Enjoy this city tour which includes all the 'must see' monuments and sights of Warsaw: Lazienki Park, Theatre Square with Grand Opera and former Town Hall Buildings as well as Belvedere Palace, the Ghetto Memorial. You will also drive through the most famous and elegant avenues in Warsaw and see Nowy Swiat and Krakowskie Przedmiescie avenues, the Presidential Palace, University of Warsaw, Holy Cross Church with Chopin's heart, Copernicus Statue. Later you will visit the Old town to see St. John's Cathedral with its magnificent Gothic interiors, St. Ann's Church and the Castle Square with the Column of King Sigismund III Vasa. You will also see the Old Town Market Square and the City Walls. Includes Transportation by coach and services of a local guide. Overnight stay at Warsaw. Breakfast at Hotel and check out and Proceed to Warsaw Station(own Arrangements) to board the train from Warsaw to Krakow in the morning, With the Journeyof 2hrs and 40 Mins arrive In Krakow and Proceed to Hotel(own Arrangements), Check in as per the Check in time and Day free at Own Leisure, Overnight stay at Krakow. Breakast at Hotel and Proceed to Bus park at Powisle street 11(own arrangements) for Half Day Krakow City tour, You will begin your tour by visiting the Jewish District of Kazimierz to explore the area which used to be inhabited by one of the most diverse Jewish communities in Europe. Then a short drive will take you up the Wawel Hill which is the embodiment of Poland's former monarchical glory. 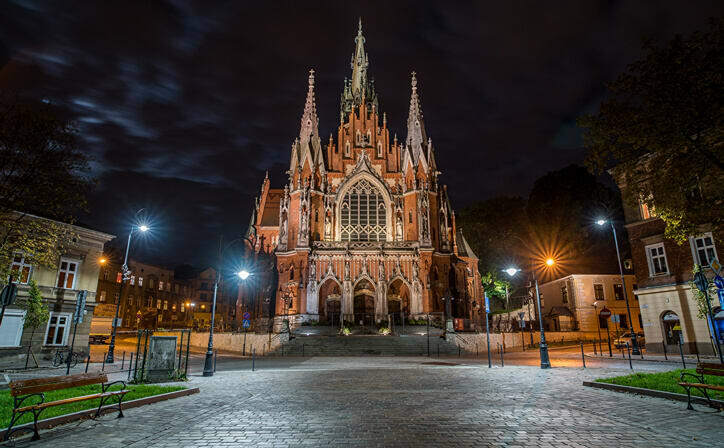 On its summit is the Royal castle and a 14th century cathedral which hosted nearly all the Polish monarchy's coronations and funerals. Having descended the hill, we stroll along Kanonicza and Grodzka streets to reach Collegium Maius ( Great College), the oldest building of the Academia Cracoviensis. After visiting the charming Gothic courtyard we continue to the Main Market Square. This bustling heart of the city is the perfect place for picking up souvenirs, especially in the Cloth Hall which has been the local market place for centuries. Complete your tour by visiting St Mary's Church, where the stunning medieval altar sculpted by Veit Stoss is located and a bugle call sounds towards the four corners of the world every hour on the hour. 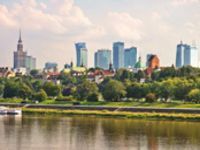 Includes English speaking guide, hotel pick up, admission to Wawel Castle, Royal Cathedral and St Mary's Church Overnight stay at Warsaw. Early Breakfast at Hotel and Check out and Proceed to Bus Station(own Arrangements) to board the bus from Krakow to Budapest, with the Journey of 7 hrs approx. Arrive in Budapest, Check in the hotel and Overnight stay at Budapest. Breakfast at Hotel and Proceed to pickup point by 0930hrs for Morning Half day Budapest City tour on Coach Basis. 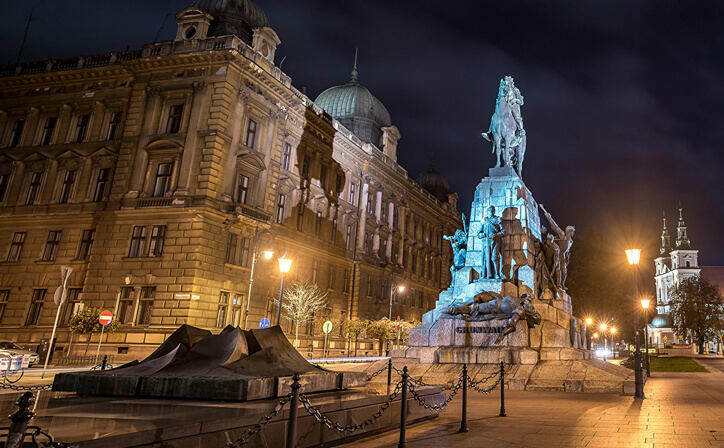 On this tour you will be passing by the Parliament building before crossing the Danube on the Margaret Bridge and drive to the Royal Castle on the Buda side of the city. Here you will have some free time to yourself to visit the Fishermen's Bastion which offers stunning views over the city and the Mathias Church. Your tour will continue to the Gillert Hill before crossing the Elisabeth Bridge from where you will drive towards the Heroes' Square. Passing by the Opera and St Stephen's Basilica you reach the Hotel Intercontinental where your tour ends. Includes Transportation by coach and services of a local guide. Breakfast at Hotel and Check out and Proceed to Train Station(own Arrangements) to board the train to Bratislava, With the journey of 2 hrs and 40 Mins Approx. Arrive in Bratislava, Proceed to Hotel (own Arrangements) and Check in as per the check in time and day free at Own Leisure, Overnight stay at Bratislava.. Early Breakfast at Hotel and Check out and Proceed to the departure point to Experience the Nicest Sightseeing tour In the city, the tour includes; Combination of the Old Town Tour & the Castle Tour. This Unique sightseeing bus Presporacik-Oldtimer takes you through the nicest areas in the Old Town and behind the Old Town gates directly to the courtyard of the medieval Castle with a beautiful view of the entire city and its surroundings. You will see the Slovak National Theater and Philharmonic, the inverted pyramid, the Presidential Palace, the residence of the government, Parliament, the Town Walls, St. Martin s Cathedral , the coronation Cathedral of Hungarian Kings, the Main Square, the oldest fountain in the city, ancient St. Clare s Church, St. Michael s Gate, the executioner s house, many palaces from the time of Empress Maria Theresa and many remarkable sites Includes 60 minutes Castle Tour, which includes 15 min. 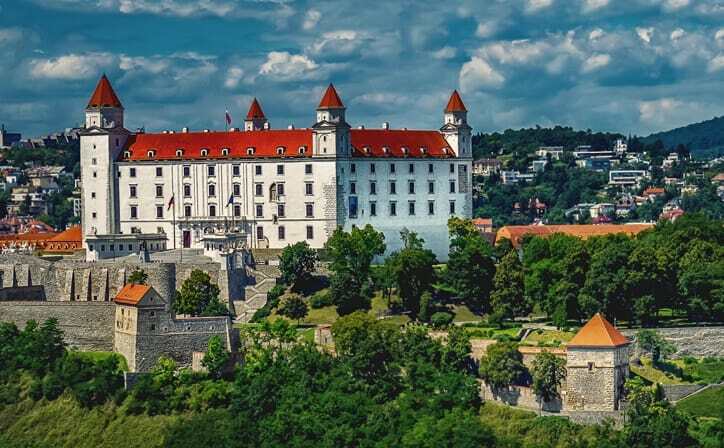 break at the Bratislava Castle + 35 min Old Town Tour by Presporacik Oldtimer. Later Proceed to Train Station to board the Train from Budapest to Vienna, Arrival in Vienna and Check as per Check in time and Day free at Own Leisure, Overnight stay at Vienna. Breakfast at Hotel anc Proceed to Sudtirolerplatz departure point in the afternoon for Half Day afternoon City tour with Schonbrunn Palace, the tour includes; The most important sights of the Austrian capital. As we drive around the famous 'Ringstrasse', Vienna's main boulevard, we pass by the State Opera, the Museums of Fine Art and Natural History, the Parliament building, the Burgtheater (National Theatre), the City Hall and the University. The highlight of this programme is the visit to Schonbrunn Palace where we take a tour of some of the most magnificently decorated rooms. We return to the city centre, passing by Belvedere Palace, where you will have the opportunity to end your tour, or you can choose to continue to the State Opera House, where the tour ends. Includes Transportation by coach, entrance and guided tour of Schonbrunn Palace. Breakfast at Hotel and Check out and transfers from Accommodation to Airport for Onwards/Return Flight..
From soaring mountains to golden sands, Eastern Europe reveals a tapestry of quaint and contemporary cultures – always with enough rough edges to keep you intrigued. This is the heartland of Orthodox Christianity. Sandy beaches, windswept plains, rugged mountain ranges – Eastern Europe has it all, and it’s anything but predictable. 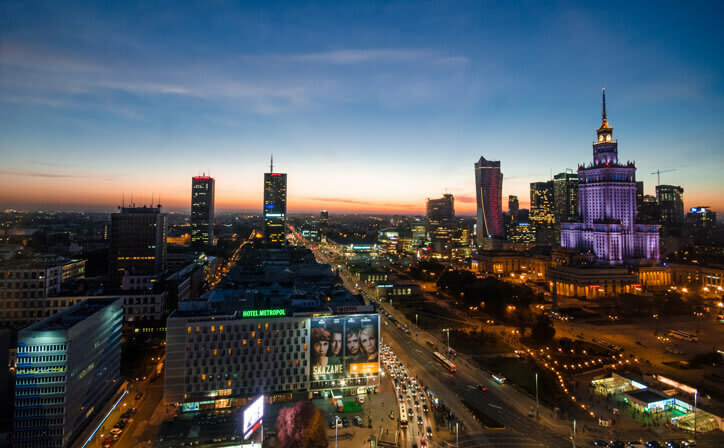 Warsaw is the sprawling capital of Poland. Its widely varied architecture reflects the city's long, turbulent history, from Gothic churches and neoclassical palaces to Soviet-era blocks and modern skyscrapers. The city's Old Town was restored after heavy damage during WWII. Its heart is Market Square, with pastel buildings and open-air cafes. The Monument of the Warsaw Mermaid at its center is the city’s symbol. ○ Drinks and beverages are charged upon consumption. ○ Bedding type is on request basis and subject to availability at time of arrival. ○ Anything not mentioned in the cost inclusions list such as currency fluctuation i.e. currently taken as 01 EURO= 75 INR. ○ Surcharge Might be Applicable if date falls under any Trade fair/Special Events during the Trip. The Museum of the Warsaw Uprising has the motto ‘We wanted to be free – and to owe this freedom to ourselves’, and it presents the history of the 1944 uprising, crucial for the development and the end of World War II. It is a must for everyone interested in world history and military studies.